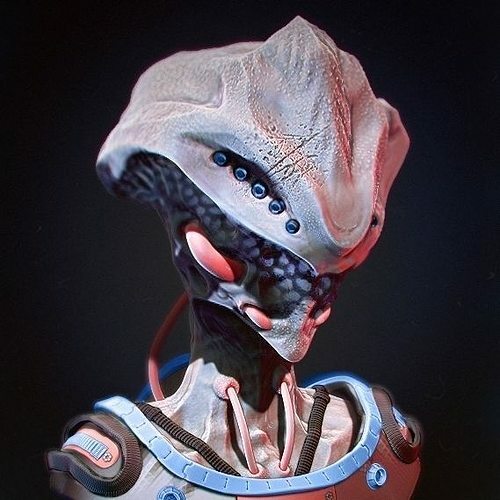 This is a high-poly model of an Alien head, which was sculpted in ZBrush. This model does not have any textures. Preview image above is a sculpt after post-process made in Photoshop. It can be used for pretty much any purpose. I hope it will serve you very well.